The Israeli military said on Saturday its aircraft launched a pair of strikes at Palestinian cells flying incendiary balloons from the southern Gaza Strip into Israel. 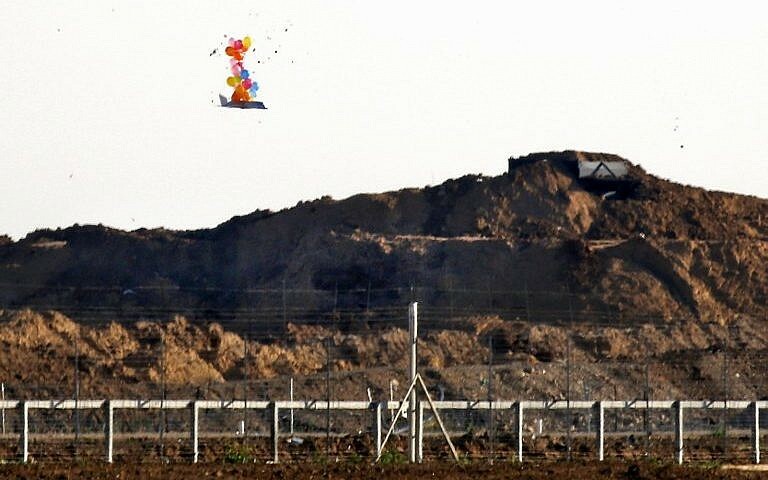 “IDF aircraft attacked a short time ago a terror cell that launched balloons rigged with explosives from southern Gaza toward Israeli territory,” the military said in a statement Saturday afternoon. A subsequent statement said “an additional terror cell” was struck. Three Palestinians were injured in the initial strike, according to reports, and one was said injured in the second strike. Images on social media showed a motorcycle said to have been damaged by Israeli fire. Saturday’s strike came a day after several thousand Palestinians took part in violent protests on the Gaza-Israel border, throwing explosive devices and rocks at Israeli soldiers who responded with tear gas and occasional live fire. Palestinians said two people were killed. In riots along the barrier Friday, Palestinians tried to destroy the border fence in several places, but were pushed back by the Israeli soldiers. The Hamas-run Gaza health ministry said two Palestinians, an 18-year-old and a 29-year-old, were killed by live fire, and 55 were wounded. 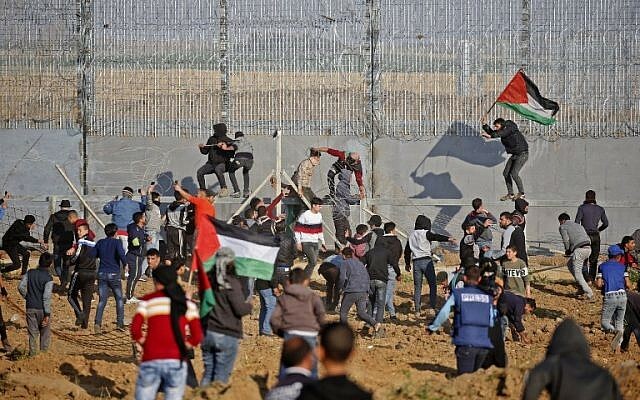 The border clashes are part of the “March of Return” protests, a series of regular demonstrations and violent riots along the border fence that have been held since March 30, 2018.